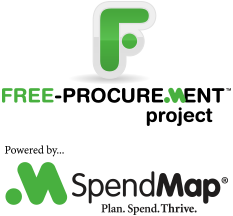 Our Blog will be a little more quiet than usual for the next few weeks as we work on the 2013 release of SpendMap, which we hope to officially announce early in the Next Year. Stay tuned for more details as we get closer to the release date. And if you haven’t yet subscribed to this blog, just use the field at the top-left of this page to get updates by e-mail when we have news for you about the free Purchase Order Software System.